This satellite has four wide-field cameras that will cover around 85 percent of the sky, according to a NASA release. It will sweep the sky, sector by sector, for a brief dimming of light from a star that suggests an orbiting planet. It’s basically a Kepler part two (or part three, if you consider K2 a separate mission)—and the beloved Kepler only has a few functional months left. TESS has some advantages, though—it can look at brighter stars, and way more of them, than Kepler. It will also be able to do some spectroscopy to determine these planets’ chemical makeup. But the satellite will be especially good at spotting perhaps another tantalizing kind of planet: those orbiting red dwarf stars. Recently, planets have been found orbiting Proxima Centauri, TRAPPIST-1, and other cooler dwarf stars in their habitable zones. This has prompted some to think that perhaps these strange little stars, so unlike our own hot sun, might be the ones with the potential for extraterrestrial life. Plus, there are lots of them. 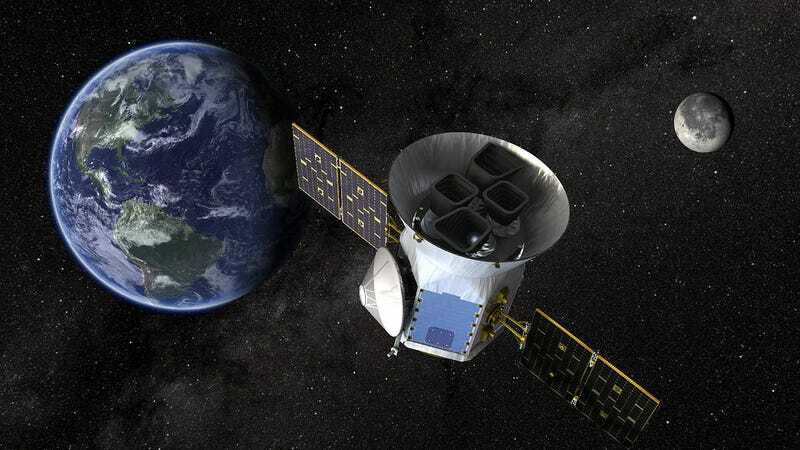 But TESS probably won’t find potentially habitable planets on its own, Padi Boyd, director of the Guest Investigator Program for the TESS Mission, said at the American Association for the Advancement of Science’s annual meeting in Austin, Texas. The survey will allow scientists to prioritize some of the planets for followup studies by other telescopes, like the recently delayed James Webb Space Telescope (JWST). In other words, TESS will tell the other telescopes where to point. Ultimately, we might need to wait for a successor to the JWST, like the proposed LUVOIR and HabEx missions, to actually find signs of life on another planet. We know that life has altered the chemistry of Earth’s atmosphere. These future telescope concepts might be able to image exoplanets and use their light spectra to see if those planets have similar atmospheric signatures. But TESS is a start.